Over the last two weeks I have published on this blog detailed proposals on how we might reshape and reform the Conservative voluntary party. I believe my proposals are relatively simple to implement, practical in their outcomes and beneficial for all concerned. One could say that by proposing changes to what already exists I am guilty of simply tinkering at the edges - and that is a fair charge. I actually believe we need to go further, much further, and have blogged previously about how I believe the present membership model is no longer fit for purpose and needs replacing (HERE). Nothing I have witnessed over the 12 months since writing that article has made me change my mind. In the following article I seek to add more detail to how I believe we could change membership in its current form and in doing so rebuild a truly democratic (and meritocratic) organisation with wider and deeper roots in the community; a party which in its constitution is focused on fighting elections rather than managing internal bureaucracy. I must stress the following work is mine and mine alone. I do not speak for any of the constituency Associations which employ me. These are my personal thoughts on how we might reshape for the future. 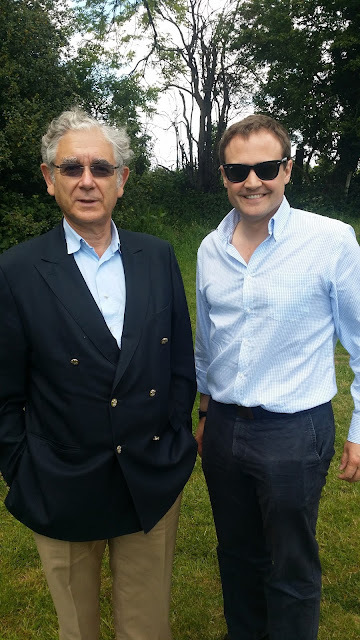 I am however indebted to my friend and colleague, William Rutherford (Chair of the West Kent Group) who shares my passion for reform and who undertook quite detailed research of how political parties operate elsewhere, which has been invaluable in writing this blogpost. Political membership, in its traditional form, is still falling and has been for decades. There may be blips and upturns along the way, but these are short interruptions in the steady downward spiral of decline. This does not mean political parties or political activism is in decline. As Coach Trip and Team 2015 have shown, participation is alive and kicking, but increasingly people do not see the need nor understand the purpose of paying £25 to be an activist. I believe over the next five years the Conservative Party, at every level - from the Leader, through CCHQ, MPs, Associations, branches, councillors and individual supporters and activists, should focus on signing-up 20% of our 2015 vote as "Registered Supporters". Given we polled 11,300,000 votes, 20% of these would be 2,260,000 Registered Supporters. Even if we only managed to achieve 10%, the figure would be over 1.1 million. A huge potential resource and a base which would be the envy of every other party. The campaign to achieve this could be our goal for these election-lite years; street stalls, mailshots, door to door deliveries, email campaigns, dawn raids at mainline stations - all have worked for us in West Kent and contributed to the 1,500 Registered Supporters we have signed in the last four weeks. Reforms on the scale I am proposing will take a long time to manage, and if we are going to reform, the change must be managed carefully and implemented with skill. I am therefore proposing that any change is introduced in the months immediately following the 2020 General Election, giving us time to work through the detail and plenty of time afterwards to iron-out problems. It may be wise to trail my suggestions in one or two counties first, and if so I hope Kent will be at the forefront. Within three months of the next GE, paid membership in its present form should be merged with our 'Registered Supporters' database, with our traditional members receiving some form of certificate and a reception to thank them for their previous membership, loyalty and support. Over a four week period each constituency to arrange a series of ward meetings, to which all Registered Supporters will be invited to attend. At these local meetings 'Neighbourhood Champions' (covering a polling station) and 'Ward Organisers' (covering a LG ward) will be elected. All 'Registered Supporters' may attend, seek nomination and vote. These ward based meetings should be followed by a meeting of all 'Neighbourhood Champions' and 'Ward Organisers' who will elect a 'Constituency Chair' from one of their number. The 'Ward Organisers' would then automatically become the 'Constituency Management Committee', providing a direct link between the centre to the wards and polling districts. All of the 'Constituency Chairs' within a county should then meet to elect a 'County Chair' then similarly a 'Regional Chair' right up the the voluntary party's representation on the National Board. This structure (polling district, ward, constituency, county, region, board) is similar to what we now have, the main difference being the election process would be based on Registered Supporters and the elections would be truncated into a short post-GE period. Unlike the present system, where Association and Branch Officers are elected for a maximum of three years, and many of the most capable people come in and out of office in 'peacetime', the new office holders should be elected for a full five year term, ensuring that everyone in the structure knows they will have responsibility for the Party's success through a full cycle of elections, culminating at the next General Election campaign. Arrangements would have to be put in place to replace those who resign or leave, as there are now. Each person in the chain would have a clearly defined job description / campaign responsibility. 'Neighbourhood Champions' would be charged with contacting all Registered Supporters in their polling district to build-up a delivery / teller / GOTV operation. 'Ward Organisers' would have responsibility to co-ordinate the work of the local 'Neighbourhood Champions' and to liaise between the centre / constituency organisation and the local activists. I propose that all of this should be overseen and supported from a series of modern and well equipped County Campaign Headquarters, each looking after around 15 parliamentary constituencies. In some cases this might mean two small counties working together. Each County Campaign HQ should be managed by a campaign director with, depending on local circumstances, between one and three campaign assistants. The office should also employ an administration manager, with a part-time book keeper and receptionist. Each County Campaign HQ will be self-financing - using the money received from an annual appeal to the Party's 40,000 or so 'Registered Supporters' in each county along with centrally-run draws and an annual County Dinner. This county-wide administrative and professional support facility will not only provide legal, campaign support and training for activists, it will also free local constituencies from the drudgery of membership collection and administration, liberating local activists to select the best candidates, develop their campaign teams and win elections at all levels. With no requirement to employ staff, pay for bricks and mortar or spend resources on administration, constituencies will find it easier to raise funds as donors will know every penny given locally will be spent on campaigning in that constituency. Candidate selection will also be democratised. Each constituency would continue to interview and approve candidates as before, but selections will be made by all the 'Registered Supporters' in a ward at an Closed Primary. Parliamentary selections would be made from a list supplied by the Party nationally with a constituency-wide meeting of Registered Supporters making the final decision. We need a serious debate about whether a mass membership model forged in a two-party post ward country, when tribal loyalties trumped consumer choice, is still relevant 75 years later. We need to ask if future political success is best served by an endless round of meetings in which we talk to each other about how we can raise the funds to buy a new carpet for the office hallway. Whether a new generation of social-media savvy activists will be inspired by an invitation to a Safari Supper or an overly formal black tie dinner. And if we look around our present activists and see a dwindling and increasingly aged group of stalwarts, we need to be brutally honest and ask how many of them will still be able to do what they did this year in five or ten years time. The fifth and final post in my series of articles examining how we might approach rebuilding the voluntary party, along with a summary of the problems as I see them and a few personal thoughts on how they could be addressed. The suggestion that various constituencies in West Kent should work together had been on the table for thirty plus years. Meetings would be held, papers written and reports sent back to Executive Councils for further consideration only to disappear without trace. The problem was getting agreement from all five Associations - with one or two of the five always finding every reason for it not to go ahead. Finally, recognising the status quo was not sustainable, the three front runners went ahead, only to find the two who had stalled previous discussions requesting membership from the start. I suspect had we waited to find a proposal which all five agreed on before moving to the next stage, we would still be talking about it today. Despite the positive messages we send out from West Kent, Grouping is not simple nor easy. It requires courage and foresight from our local leaders, a degree of compromise, goodwill from all participants, a selfless focus on the greater good and a willingness to put old ways aside and work as a team. Most of the above can be encouraged by strong and united Officers, but what cannot be changed overnight is the collective psychology of each Association - often built up over many years. If an Association believes that the staff are there to act as "PA to the Association Chairman" and the office is "somewhere to pop in for a chat and a cup of coffee whilst out shopping" then suddenly finding your local office is now dedicated to campaigning and doesn't see itself as a drop-in centre with a free parking space whilst shopping, can be quite a cultural shock. Over the last two years I have been invited to speak at three county meetings, one regional conference and at least 14 different Association Executive Committees on how we set-up and operate the West Kent Group. Without doubt my presentation is met with kindness, enthusiasm and great interest and a determination to "get something off the ground here". Yet despite my and many other peoples' best efforts, I do not think we are any further forward in terms of new groups actually being formed. I do not blame any individual for this, particularly in a General Election year, but progress won't happen without someone taking the lead and inevitably there is always a very good reason why the decision should be deferred to another day. General Election year is not the right time to move. We need to 'let the dust settle' to see how things shape up? Don't you think we should wait to see the outcome of the boundary review? Let's wait until after the County Council elections, shall we? Oh, we couldn't possibly make such a major move with a General Election 12 months away! One of the things I am always asked is "how would a shared office be staffed...? There is no simple answer to this as one size doesn't fit all, and it would be foolish to claim it does. What I do believe is all groups should separate administration from campaigning as these are two very different skills. In West Kent we seem to have the ideal solution. I am really fortunate to have Jon Botten working with me as Office Manager. His responsibilities include membership reminders and records, branch flyers, minutes and notices of meetings and AGMs, administration for raffles and appeals and day to day procurement. This allows me to focus on legal stuff, development and campaigning (and by campaigning I mean election campaigning, membership campaigning and major fund raising). Despite having clearly defined roles we don't work in a silo - we discuss and debate everything, each of us bouncing ideas off the other and happily changing what is planned if someone comes up with something better. In addition during major elections we have a paid intern and of course a fantastic team of regular volunteers. For us, the system works. Elsewhere - perhaps in an area with several target seats, the group might need additional campaign support and perhaps only a part time administrator, and equally in areas where winning parliamentary seats is a long term goal, the focus would be on building and developing the activists base rather than campaigning. There are also the financial implications. Whilst in the long term grouping releases resources for campaigning, there is a short term cost - sometimes quite significant. For example, in West Kent, Tonbridge and Malling had to find £5,500 to be released from their lease obligations. Solicitors and landlord's fees relating to the new office lease and general advice of the Memorandum of Understanding was another £2,000, equipping the new office with furniture cost £2,500 and a further £3,000 on installing modern IT and a ten line VoIP phone bank. Each AME to appoint a "Grouping Champion" to support and encourage groups where possible. Recognition that five Associations sharing one office will not make so many demands on CCHQ resources, so institute a sliding scale for IT / Helpdesk support and Election Insurance (perhaps 80% for two sharing, 70% for three sharing, 60% for four and 50% for five). A designated national officer to advise Associations, Regions and County AMEs on Grouping and Best Practice. This brings to a close my series of five articles on how we might reform and rebuild the voluntary party. Each AME to recruit a team of experienced (retired) officers from successful Associations and/or business community who will sit down with each Association Officer team immediately following the AGM and produce a professional, achievable and realistic business plan. The same "mentor" to revisit the Association after 6-8 months to review progress and again at the year end. The business plans and progress reports to be published by the AME to share best practice and highlight achievements. A simple annual "audit" of each Association measuring Key Performance Indicators such as membership collection rates and retention, new pledges identified, new members recruited, properly constituted Executive Councils and LG candidate selections and prompt payments of the per member fee etc, with LfL results published by the AME. After all, if league tables and KPIs drive up standards in schools, councils and hospitals, surely they must do likewise in local Associations? New powers for the Area / Regional team to place key people into Associations to support struggling Associations without having to impose the draconian and seldom used "special measures" which should always be a last resort. Along with these stronger supervisory measures should also be real rewards and recognition for those who deliver success. Awards should not just be based on paying of quotas and per member fees, but also to recognise achievements across a whole field of activity. And perhaps for those Associations who meet or exceed the national standard a Regional reception (free of charge) with a significant speaker, where the Officers are recognised, thanked and made to feel appreciated for their work on behalf of the Party. Invite pledges to sign-up as a Registered Supporter and treat them all as we would treat members. Once we have built our databases, invite people to join various groups based on shared interests (commuters, young professionals, students, parents, countryside guardians, retirees - the possibilities are endless). Bring people together based on what interests them rather than on geographical ward boundaries. Provide newsletters, speakers and events which are directly linked to their interest. Involve and engage on their terms, not insist them to be active on ours. 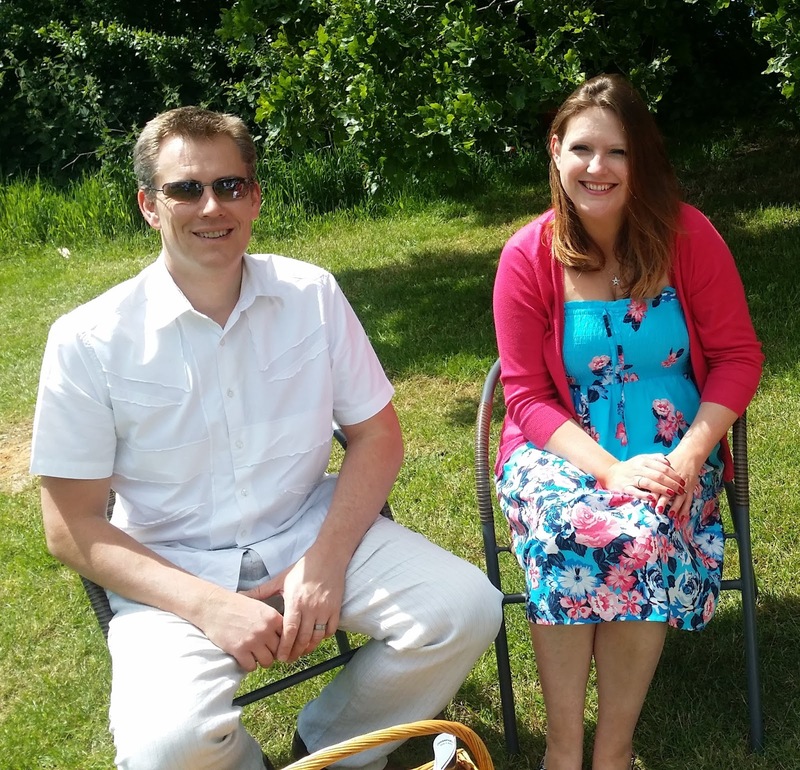 The appointment of a New Activist Champion as part of the DC Membership/Finance's team, whose sole responsibility is to manage new volunteers. The New Activist Champion is sent a regular list of new volunteers along with their contact details and also the name and contact number of the local ward organiser/councillor who should be making contact. After a week they follow-up our local organiser to ensure the new helper has been contacted and to record the outcome, chivvying along where necessary. They also contact the new volunteer to keep them "warm" and ensure they do not feel neglected. If it looks like a hopeless case and the local branch don't wish / need the additional help, the new volunteer is invited to join a central peripatetic "hit squad" to help locally where needed and nurtured this way. Supporting polling district branches where they exist, but encourage and promote new branches based on shared interest (parents, commuters, countryside guardians, young professionals, etc). Bringing people together who share a common endeavour and therefore have something in common with each other is surely a better building block than polling district boundaries. Encouraging people with specific skills to put those skills into service rather than forcing round pegs into square holes. If a member or supporter wishes to do a job for which he or she is qualified, why force them to do something else, or require them to join a committee or pay a fee to do so? 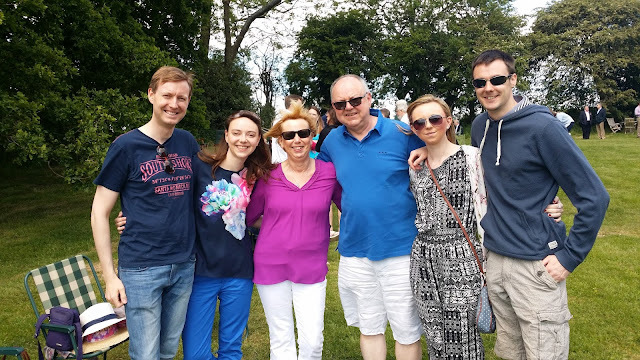 In one West Kent constituency a very successful young lawyer wanted to play his part in the GE – he was given the job of managing an eclectic group of young helpers who had no formal involvement with the party. He did an outstanding job getting them to the right place at the right time. If we had forced him to join a ‘Campaign Committee” or attend regular strategy meetings he would have run a mile. We need to build and encourage such participation. And yes, we need to learn lessons from other countries who do it better than we do. I recently read a detailed report on Arnold Schwarzenegger’s successful gubernatorial campaign in 2006, when around one third of his 49 phone banks were dedicated to phoning known supporters asking them to help the campaign. Apparently of the 10% agreeing to do so, one third never turned up, one third came to help just once and the final third became regular helpers. If we could replicate that in the UK, an Association with 15,000 pledges would end-up with 500 new regular activists. The skill is using our experienced activists to recruit and develop others and ensuring we have sufficient jobs to suit all skills. And of course we then follow-up each offer with a warm welcome, suitable training and a genuine thank you, so the volunteer feels valued and needed. Blowing smoke up our own a*se ! The West Kent Group held the AGM yesterday and as part of the proceedings our Chairman, William Rutherford, asked me to put together the attached presentation highlighting some of the things we have achieved. It deliberately doesn't deal with the election results as I presented these separately. I think the term "blowing smoke up our own a*se" is an appropriate metaphor - but there's nothing wrong with celebrating success! The fourth and penultimate in my series of articles examining how we might approach rebuilding the voluntary party, along with a summary of the problems as I see them and a few personal thoughts on how they could be addressed. Another area we need to address is how Associations reflect the aspirations of their activists, with particular emphasis on involving the wider membership in the decision making process. This doesn’t mean that every operational decision should be discussed ad nauseam by a large and unwieldy committee – if so decisions would seldom be made and when they were it would invariable be the triumph of lowest common denominator – but the groups who make such decisions should be open, transparent and accountable. This is particularly important for local government selections as well as how various committees are constituted and managed. Most people join the party as they simply wish to support our goals and are happy to make an annual payment to do so. Others want to make a difference and are willing to give their time, intelligence and energy. I have found that people who become active are almost always active in other organisations, too - so can happily transfer their time and energy elsewhere if they don’t feel needed or valued by us. And just as we lose the help and goodwill of supporters who offer help and are never contacted, so we probably lose the input and future leadership skills of members who are excluded from the process. One man, who has given freely of his time over ten consecutive years, was told that he had “no right” to stand as Association Chairman as he “wasn’t local”. 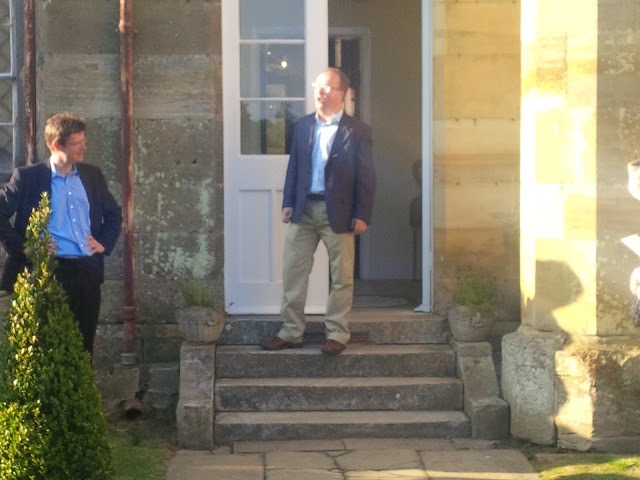 His home was a few hundred meters outside the constituency boundary! In West Kent we try to ensure our Associations are as open and inclusive as possible. The decline of the branch structure has clearly weakened our succession planning as building and running a successful branch was a way to identify and develop the skills of future Association leaders. Nor do I believe the business-based management model introduced by Archie Norman necessarily proved an ideal structure to build and develop a volunteer-based campaign organisation. Certainly I am not aware of any successful charity, pressure group or similar organisation based on such formal lines and with such ill-defined but wide ranging job titles. We have allowed too many Associations to become self-serving monoliths whose primary purpose appears to be interminable meetings where members talk to each other about what they might do if they had more time. Several years ago I was appointed Agent for a Kent seat in decline and within my first year we were fighting an unexpected by-election in a marginal council seat. Polling day was the same day as the monthly meeting of the Association’s “Policy Discussion Forum”. When I suggested to the Chairman that the 20+ members who were planning to attend her discussion might like to help with GOTV instead, I was told “Oh, by the time the meeting finishes it will be too late to knock on doors…” This was six years ago. The person concerned recently aid to me, "I never find you particularly supportive of what I wish to achieve." I wonder why! Recently I was told by a member from one of the later Associations to join the WK Group, “the trouble with you Andrew is your only goal is to win elections…” This was said in a way that was meant to make me feel it was a bad thing! I replied that this wasn’t the case. I said I was very happy to arrange social events as these raised the money we needed to print literature. I was very happy to recruit new members and activists, as these were the people we needed to pound the streets. And I was very happy to keep on top of the legal and bureaucratic requirements to ensure our candidates were all nominated and none were disqualified on technicalities. ...to provide an effective campaigning organisation in the Constituency; to secure the return of Conservative Candidates at elections; and to raise the necessary funds to achieve these objectives; to contribute to the central funds of the Party. Sadly, from time to time, residents and members die - and to avoid causing offence they must be marked as such on our database. I appreciate there is a tradition in certain parts of Northern Ireland of dead people voting, but this is surely giving a little too much power to us humble agents! We are finally in the process of migrating to VoteSource and are painstakingly cross checking all 2000+ membership records to ensure none have been lost or corrupted. As part of this process we have just found C&A President Joyce Gadd's record. 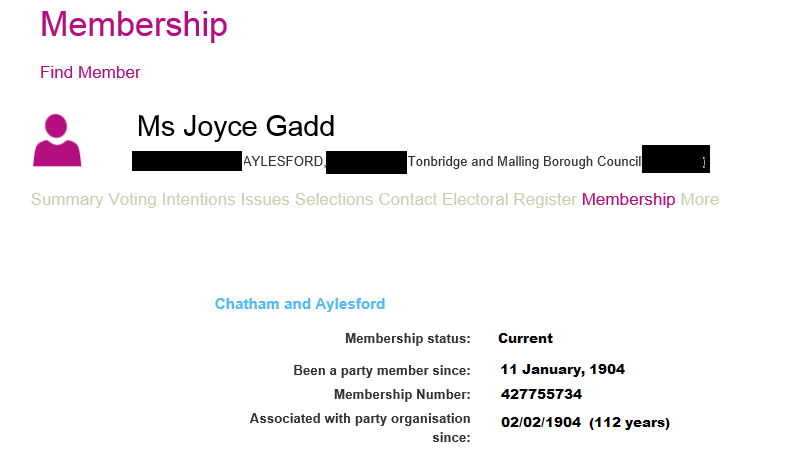 Not only has she been a member since 1904, but it confirms she has been associated with the party for 112 years! She still looks amazing, but now I understand why she keeps telling me she's tired! As there is no NCDS Summer Draw this year, West Kent are running our own - and we have just topped £5,000 in sales in the first three weeks. This is a slight increase on the same date last year - so we are both optimistic of a good final result and also pleased that the lack of the major national prize is not affecting sales. With just under a month to the draw (29 July) we are now sending out the following "reminder" to the 600 target supporters who did not respond to the first appeal. I anticipate a further 25% response, realising another £3,000. Traditionally our reminder letters increase the draw take by 50%. I have broad shoulders and I try to take a sanguine view when campaigning gets a bit 'near the knuckle' but I am genuinely appalled and sickened by a tweet which has just been brought to my attention. Canterbury Labour councillor Bernadette Fisher (elected for Gorrell ward on Thursday 7 May) has just tweeted a photo-shopped picture showing Lynton Crosby outside the gates of the Auschwitz Concentration Camp, he is on the phone to David Cameron and saying "I'm in Poland, I have just had a great idea on how to reduce the welfare budget. Now hear my out..."
Councillor Fisher should apologise for retweeting this offensive, vulgar and crass tweet and the Labour Party should take appropriate action or else they will be seen as condoning it. I enjoyed a great lunch and gossip today with the ever lovely Matthew Plummer Matthew Plummer. Over Pad Thai king prawn noodles sitting on a bench in the grounds of Southwark Cathedral he told me how much he enjoyed our irregular lunches, then added "though I am always terrified of what will appear about me on your bloody blog." I assured him that nothing would appear - and it won't! However I thought it fun to publish a blog entitled "more gossip about Matthew Plummer..." and imagine his horror and stress as he clicks the link to see what I have written about him. So don't worry Matthew - nothing to report. Unless you want me to talk about your expensive tamper resistant nuts. The third in a series of five articles examining how we might approach rebuilding the voluntary party, along with a summary of the problems as I see them and a few personal thoughts on how they could be addressed. I have yet to meet a candidate, branch organiser or campaign manger who doesn't bemoan the lack of help, but what I have found over the years is it is those who complain most about lack of resource are almost always the same people who fail contact potential volunteers when they are found. In controlling this I am in a difficult position. With five constituencies I simply do not have the resource to manage and nurture every new volunteer and in doing so I should be able to rely upon the individual wards and candidates to follow-up such offers. This year over 200 people ticked the "I will help deliver newsletters locally" box on our various Voter ID surveys. These are all logged on Merlin/VoteSource and receive an acknowledgement letter/email from the office thanking them for their offer and to say "our local ward organiser (name) will be in touch to see how you can help locally..." The same email / letter is sent to the ward organiser along with a note "please make contact and let me know how you get on..." Then... silence. In fairness, not always silence. We have many good branches who keep in touch with their helpers, thank and nurture their teams and thus probably have sufficient help. We have one branch who are so good at building and retaining their team they now have two volunteers for each delivery round and alternate deliveries to keep their teams active. Yet in a demographically identical ward next door, leaflets don't get delivered, or three deliveries are pushed through the letterbox at the same time, as "I have no help and cannot do it all, you know..."
Several years ago CCHQ ran a test; they sent an email to Association Offices from a potential new member who was moving to the area and wanted a membership application form. I don't recall the precise details, but the overwhelming majority of Associations never made contact, and of those which did many were unhelpful. With this in mind and curious about our own ability to follow-up offers of help I ran a similar exercise myself. Fourteen candidates who were constantly informing me that they couldn't get leaflets delivered or do any canvassing each received an email from Pippa Smith. Pippa was a former CF Chair at university and was "moving to the area with her new job". She "really wanted to help with the election and was happy to deliver leaflets or canvass voters". Please let me know how I can help..." Of the fourteen candidates who received the email only one replied. It was a depressing experiment. "I don't trust people I don't know as they might let me down." "I tried to call but they weren't in." "I already have someone who does that road." "They live in a road I always do myself." If I didn't know better I would tempted to think some candidates find it easier to complain about not having any help and using that as a reason not to campaign, than actually investing the time and energy needed to build a team. 1. The appointment of a New Activist Champion as part of the DC Membership/Finance's team, whose sole responsibility is to manage new volunteers. 2. The New Activist Champion is sent a regular list of new volunteers along with their contact details and also the name and contact number of the local ward organiser/councillor who should be making contact. After a week they follow-up our local organiser to ensure the new helper has been contacted and to record the outcome, chivvying along where necessary. They also contact the new volunteer to keep them "warm" and ensure they do not feel neglected. 3. If it looks like a hopeless case and the local branch don't wish / need the additional help, the new volunteer is invited to join a central peripatetic "hit squad" to help locally where needed and nurtured this way. Our inability to follow-up and welcome each and every volunteer and then develop their interest to the maximum, is a failure which greatly depresses me. I suspect some branch organisers and councillors see new people as a threat. As the saying goes, "in the land of the blind the one eyed man is king." The second in a series of five articles examining how we might approach rebuilding the voluntary party, along with a summary of the problems as I see them and a few personal thoughts on how they could be addressed. I blog regularly about the need to attract new activists and last year suggested we abolished our traditional membership model as I felt it was a barrier to attracting new support. See HERE. Reaction to that article was mixed, though I believe most of the objections were based on fear of change rather than a calm assessment of what I was proposing. Nor did the objectors offer any new or better proposals about how to deal with the decline. The tipping point for me with regard to our present membership model came two years ago. Tonbridge & Malling were approaching its parliamentary selection contest. The Management Committee was of the opinion that the chance to participate in such an event after 40 years of incumbency would be sufficient incentive to attract back many of the hundreds of members whose membership had lapsed over the previous ten years as well as a sizeable number of new members wishing to participate in the parliamentary selection. The decision was taken to spend the best part of £10,000 from reserves on the largest recruitment campaign we have ever undertaken. A good quality personal letter along with a stylish recruitment leaflet was posted to 20,000 pledges, resulting in the recruitment of just 50 new members - a hugely disappointing result with the revenue not even covering the printing costs let alone the postage. If a strong and vibrant Association in one of the strongest conservative areas of the country could not recruit significant new members, what chance did we have to rebuild elsewhere? The failure of the mass recruitment campaign did have a silver lining - it brought home the need to reform the way we engaged with the wider community and made the task of selling the "open primary" much easier than it might otherwise have been. It was a great tribute to the Officers and the Executive Council that they not only supported the plan but then made the resources available to ensure it was a success. I have posted some links below for further reading about our open primary, but looking back the event was probably the single thing I am most proud of helping deliver. Over 700 people, the majority of them not party members, gave up half of their Saturday to participate in the selection of a new parliamentary candidate. 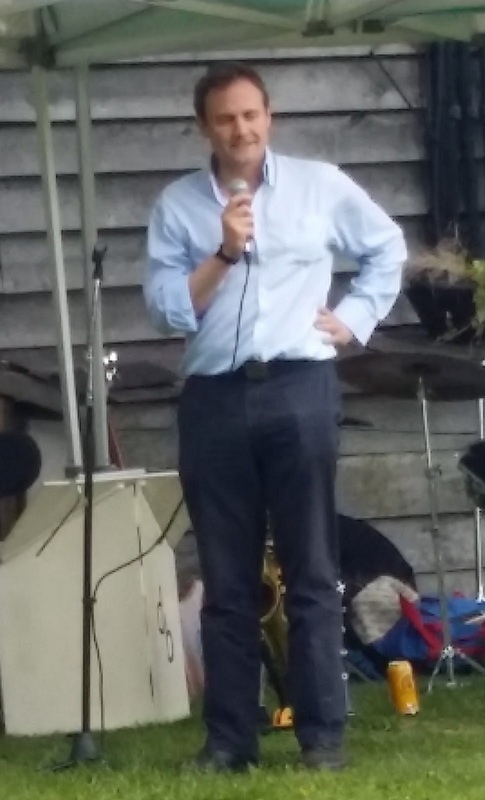 In an era of political disconnection, the successful candidate, Tom Tugendhat, maintains to this day that he derived a significant political and moral benefit on the doorsteps and at hustings when he was able to remind people was he selected by the public at a truly open meeting. People may not join political parties, but they are still willing to participate and engage in the political process if invited to do so and if they think it matters. Once people have "engaged" they are willing to contribute. Almost all the non members gave to the financial appeal and as many as 30% subsequently became active in the Association as deliverers, office helpers or donors. Two are now Conservative councillors. None of the fears of entryism were proved correct. Fewer than 15 of the 350 non members attending were known opposition supporters, none caused trouble or tried to disrupt the proceedings. 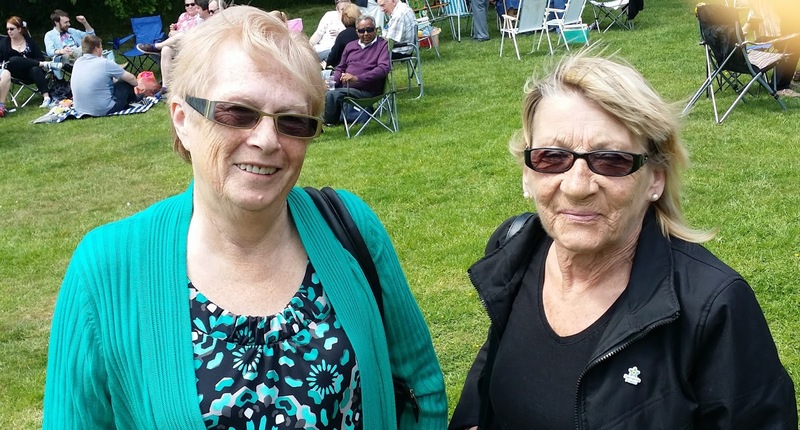 Two were so impressed by what we had done they subsequently voted Conservative. I often try to imagine imagine the outcome had we tried to charge people to attend. I have no evidence to support this, but I suspect we would be lucky to have had 20% of the numbers of non-members attending, and all the political and emotional benefits of holding an inclusive open public meeting would have been lost. When I first wrote about abolishing membership I received two fairly spiky emails accusing me of being 'the enemy within' - part of a "metropolitan elite" who wanted to destroy the grassroots and smash the voluntary party. Nothing could be further from the truth. 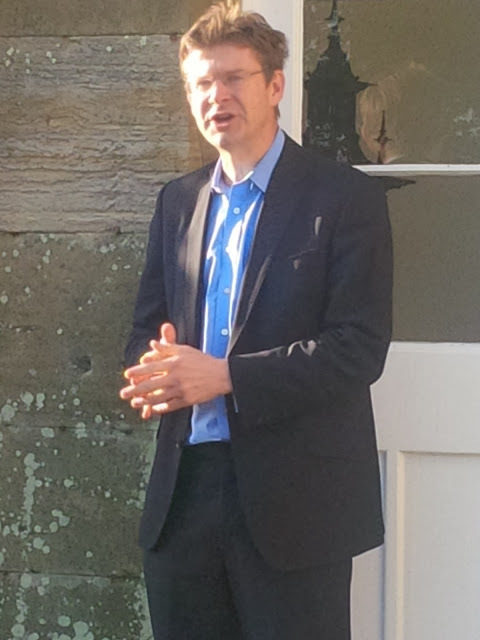 I have been a member of the Conservative Party for 35 years and am passionate about its renewal and survival. Participatory democracy and grass roots involvement are far too important to allow them to wither of the vine due inertia or a lack of courage to try something new. I believe very strongly that paying a fee to be allowed to belong is the biggest single barrier to attracting new people. It's not the amount we ask them to pay (after all £25.00 isn't a lot) it's the concept of "joining" and all the imagined horrors that being a 'paid-up member' brings to mind. 1. Invite everyone to sign-up as a Registered Supporter and treat them all as we would treat members. 2. Once we have built our databases, invite people to join various groups based on shared interests (commuters, young professionals, students, parents, countryside guardians, retirees - the possibilities are endless). 3. Bring people together based on what interests them rather than on geographical ward boundaries. Provide newsletters, speakers and events which are directly linked to their interest. Involve and engage on their terms, not insist them to be active on ours. In West Kent we have already started that process by inviting people to become Registered Supporters. 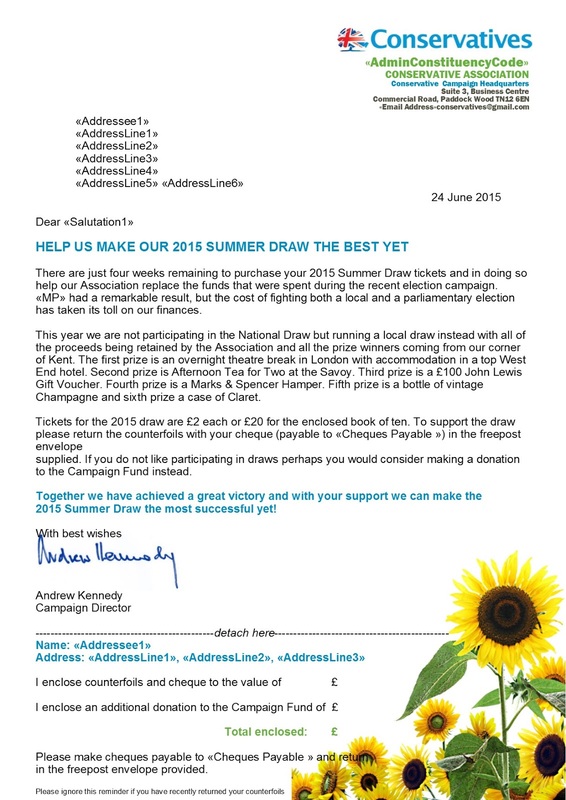 We are inviting them by email, social media and 200,000 cards through the letterbox - see HERE. As of yesterday over 1,000 have signed-up and we are aiming for 4,000 by the end of the year. At the moment our Registered Supporters scheme will run alongside our traditional membership model as this is what the rules require us to do. And in answer to the question which is always posed - "what about the lost membership income?" Each year we can ask them to donate what they can afford. Many will give nothing. Many will be generous. There is no reason to believe the existing members will not continue to give what they always gave - some may give more. And many people who would never consider joining will also donate - some quite generously (as our open primary collection demonstrated). In West Kent three of our five constituencies now have more donors than members and in one income from non members exceeds membership income by almost 2:1. As I said in my original post on abolishing the membership model, doing nothing and allowing the voluntary party to wither on the vine simply isn't an option. Fortune favours the brave. This is the first in a series of five articles examining how we might approach rebuilding the voluntary party, along with a summary of the problems as I see them and a few personal thoughts on how they could be addressed. In writing this blog on leadership at local level I am conscious that apart from people like me, our officers and local leaders are almost all volunteers who give freely of their time and often their money to do a job with little thanks and scant reward. Having established and acknowledged that fact I am also firmly of the belief that with office comes duty and responsibility. Well intentioned but reluctant backwoodsman who really don't want the job but volunteered out of duty as "someone had to do it." None of the above necessarily make bad Officers or poor leaders, but it is fair to say that many probably see their office as a means to an end rather than an end in itself. Another major issue which is seldom examined in depth is the risk all political parties take in terms of reputational damage in allowing unknown, untrained and often untested people to take control of local Associations, with very little supervision or control until it's too late. A friend in the Labour Party with a regional responsibility told me that managing the local Constituency Labour Parties was like a giant game of "whack-a-mole". I suspect the same applies to us. One of the issues is the ingrained "independence" of each Association and their determination to do things their way. I know of no Association which would happily allow one of its wards or branches to flout the Association's agreed rules to suit local circumstances but many Associations seem to reserve this right for themselves. The fact is, whether we like it or not, a ward committee is a branch of the Association just as the Association is a branch of the national party. Autonomy and freedom within the rules is fine and should be encouraged, but picking and choosing which rules you wish to uphold is not. One of the issues is the management and supervision of Associations. Technically Associations are overseen by the county-based Area Management Executives (AMEs). In reality, the AMEs are virtually toothless and rely on the strength of character of those elected to run them in order to achieve any real change. A strong and vibrant Area Team can carry Associations with them and deliver change by force of experience, but too often they are an 'elephants graveyard' for retired Association Officers in search of a comfortable job. I serve on the Kent AME along with some great people who are progressive and have the best interests of the Conservative Party at heart. We generate a great deal of words and many pages of minutes, but in reality our good ideas are 'sandcastles in the air' if a recalcitrant or unsupportive Association Chairman hits the delete button as he sees new ideas as a threat or "too much like hard work". Rebuilding our local Associations must come from within; with strong, professional and progressive Management Committees with the knowledge, skills and confidence to do what needs to be done. But the Party has no formal structure to develop and assist newly elected Officers or those struggling with their responsibilities. Associations are meant to produce a business plan within four weeks of the AGM, setting-out the Association's goals for the year ahead. Mine do (though admittedly they are all late this year due to the GE) but I suspect many do not - and I doubt if those who do not are ever asked to do so. And I am not aware of any Association being asked to revisit or review their business plan at the end of the year to see just what has been achieved, to be congratulated on what was delivered and to have their missed targets discussed with recommendations made for the future. It is easy to see why so many officers simply give up on grand ideas and fall into following the line of least resistance. 1. Each AME to recruit a team of experienced (retired) officers from successful Associations and/or business community who will sit down with each Association Officer team immediately following the AGM and produce a professional, achievable and realistic business plan. The same "mentor" to revisit the Association after 6-8 months to review progress and again at the year end. The business plans and progress reports to be published by the AME to share best practice and highlight achievements. 2. A simple annual "audit" of each Association measuring Key Performance Indicators such as membership collection rates and retention, new pledges identified, new members recruited, properly constituted Executive Councils and LG candidate selections and prompt payments of the per member fee etc, with LfL results published by the AME. After all, if league tables and KPIs drive up standards in schools, councils and hospitals, surely they must do likewise in local Associations? 3. New powers for the Area / Regional team to place key people into Associations to support struggling Associations without having to impose the draconian and seldom used "special measures" which should always be a last resort. 4. Along with these stronger supervisory measures should also be real rewards and recognition for those who deliver success. Awards should not just be based on paying of quotas and per member fees, but also to recognise achievements across a whole field of activity. 5. And perhaps for those Associations who meet or exceed the national standard a Regional reception (free of charge) with a significant speaker, where the Officers are recognised, thanked and made to feel appreciated for their work on behalf of the Party. It is not unreasonable for Associations to wish to manage their own affairs, but equally it is not unreasonable for the Party nationally to demand a uniform standard from those who run its local branches. The above proposals should give Association Officers the training and support they need to fulfil their basic responsibilities whilst providing the local AMEs with the tools to measure performance and reward achievement. For many years I have been advocating major reform of how the voluntary party works in the constituencies, and have published on this blog some of my suggestions. Now, with Lord Feldman's panel undertaking a major national review, I have pulled-together various random thoughts and posts into a short series of articles which I will publish over the coming week. I am limiting my comments and suggestions to the voluntary party in the constituencies as this is the area where I have sufficient experience to comment and a track record to support my conclusions. As always on this blog I write personally and do not claim to represent the views of my employers (the West Kent Group) or any of the Associations within the Group. I will commence tonight with examining how the voluntary party in managed and led and how that could be developed and improved for the future. I admit that I am curmudgeonly and can be "prissy" on such matters, but I have become increasingly irritated since May at the number of councillors who have happily changed their social media status to announce they now "work for" (xyz) borough council. My point is that councillors do not "work for" the council any more than Members of Parliament work for the state. Councillors are elected by the people to represent the interests of the community; to set the political framework within which decisions are made and to hold to account the officers of the council on behalf of local taxpayers. Councillors are not, nor I hope ever will be, "employees of the council". Whenever I run a training session for newly recruited council candidates I always make the point that councillors are first and foremost elected to represent the interests of the community in the council chamber, they are not there to become apologists for the council. As soon as they cross the Rubicon they lose their democratic legitimacy and authority. I have no doubt that many council bureaucracies strive to make councillors part of the establishment, bedecking their political masters with municipal neck ties, embossed leatherette document wallets and engraved name badges, just as companies brand their employees to give them a sense of loyalty and ownership. It is, after all, much harder to expose and criticise bad management if you see yourself as part of the of team responsible for delivering it. I am grateful to my friend Cllr Neil Garratt who sent me this prime example of how some councils and senior officers see elected representatives as part of the inner workings of the council, whose careers and ambitions need to be "planned and managed" rather than as elected representatives there to hold those same officers to account. Last evening Tunbridge Wells Conservative Association's members and helpers gathered in the grounds of one of the constituency's finest houses, Mabledon Park (the childhood home of the architect Decimus Burton) to celebrate remarkable results on Thursday 7 May. Not only did Greg Clark MP poll the largest ever Conservative vote in the constituency but we had a clean-sweep of all 17 council seats. This included gaining the seat of the Labour group leader and for me perhaps the greatest triumph of all, regaining from UKIP their only two council seats in the Borough. We also took control of the Southborough Town Council from Labour winning all 12 seats contested. Even in 2015, the knocker reigns supreme! On Saturday a lady came up to me at a party and told me that she was surprised that in this day and age we were still knocking on doors. She asked if we had ever considered sending emails or phoning people instead. In a previous job she was apparently a marketing consultant and would be very happy to advise me on how to win elections. Through somewhat gritted teeth I thanked the lady for her interest and assured her that we did use email and phone, in fact during the campaign we collected around 12,000 email addresses and made over 40,000 phone calls. I did however encourage her write a paper on what we could do better as we all have things to learn, regardless of how long we have been in the business. Asking people to write a paper is one of my favourite ways to sort the wheat from the chaff. Everyone is happy to sound off and tell you what you are doing wrong, but actually sitting down and committing a strategy to paper requires thought, understanding and attention to detail; the very qualities which those prone to "sounding off" in front of an audience often lack. 3. Use the short campaign to ensure everyone in groups (a) and (b) are aware of the advantage and necessity of voting for our candidate. It is a remarkably simple concept made harder by those who think every election is a battle of ideology which must be fought on each and every doorstep during the four weeks of April. Within the above strategy a good campaigner holds a small armoury of weapons - some blunt (leaflets to every door), others niche (direct mail, targeted email and social media) others laser guided. For example, this year we linked Voter ID survey responses to variable paragraph direct mail, sending over 240 versions of the same letter to specific groups of voters based on what they told us their major local concerns were. We also developed personalised leaflets for swing voters; the same basic leaflet with the content changing from house to house, again based on what that voter had told us mattered most to them and their family. All of this requires hard work and a year-round strategy. You cannot target messages if you don't know which issues concern people. You cannot drive turnout if you do not know the addresses of those who will vote for you and those who never will. You cannot win over the doubters if you don't know who they are or what concerns them. And the only way to find this is to knock on their doors with your clipboard (or phone them up) and talk to them. Who is Mark Neeham I hear you ask - well he's Executive Director of Crosby-Textor Group, who've probably helped win more elections throughout the world than everyone else I know combined! As the old saying goes.... "Winning elections isn't difficult. It's just hard work! Me: "West Kent Campaign HQ, how can I help you....?" Angry caller: "You're wholly inefficient in that office in my opinion." "Good morning to you too - what can I do to help"
"There's an example, you haven't even asked whose calling." "Well, normally callers introduce themselves before launching into an attack, but if you tell me who you are and what we have done, I might be able to assist." "It's (name) - I would have thought you'd recognise my voice. I have after all been a member 47 years. I sent me membership subscription last week and you have not had the courtesy to acknowledge receipt." "OK, thank you for explaining. We send membership cards out every two weeks, so if you paid last week you will receive your card and acknowledgement around mid June." "Precisely - wholly inefficient. In the old days membership cards were posted immediately. It was much more efficient then." "Do you mean when the Association lost around £8,000 pa from reserves..."
"Quite. As I said, it was much more efficient then. And another thing - the poster you put up in my garden, no-one liked (name of MP) photograph. He looked supercilious. The photograph he used last time was so much better. " 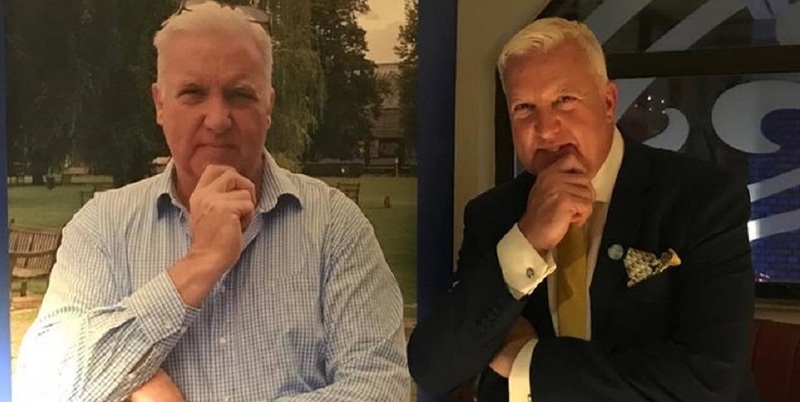 "It was the same photograph - he had new ones taken, but everyone agreed the old one was better so we used the 2010 photograph again." "In that case it must have been the poor quality printing. Goodbye." 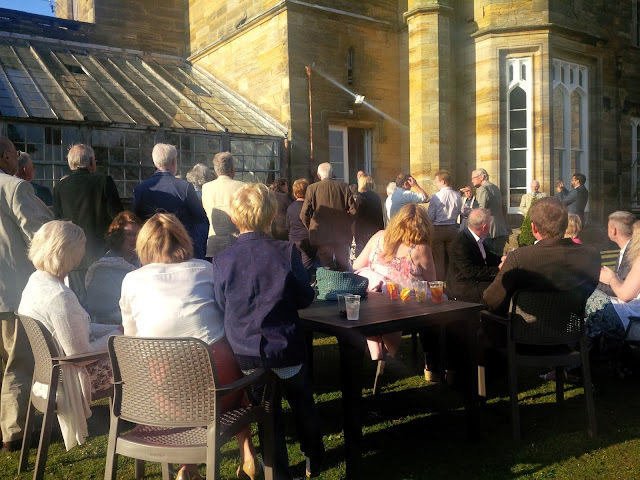 Today was the first of a series of thank you parties which are being held over the coming weeks; an opportunity for our successful parliamentary and local candidates to thank the small army of activists who worked selflessly towards our great victory on Thursday 7 May. 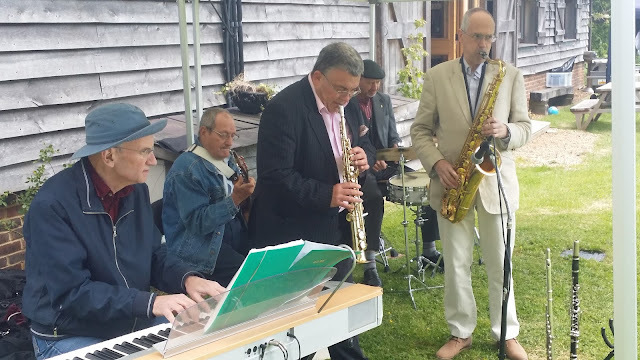 First off was Tonbridge & Malling with a hog roast and jazz band for 120 guests, held in the grounds of Cllr Robin Betts' farm high up on the North Downs. 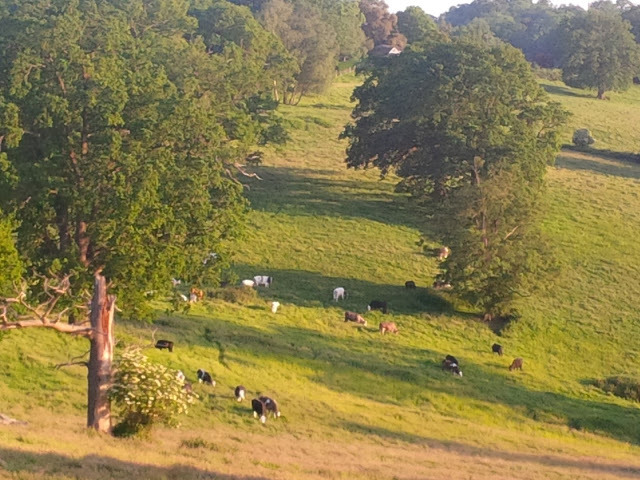 The Betts family have been farming here for (wait for it) five hundred and twenty years! Robin has diversified into cheese making and his award-winning cheese made using unpasturised milk from his own dairy herd is now sold to Fortnum & Mason, Waitrose and M&S amongst others. 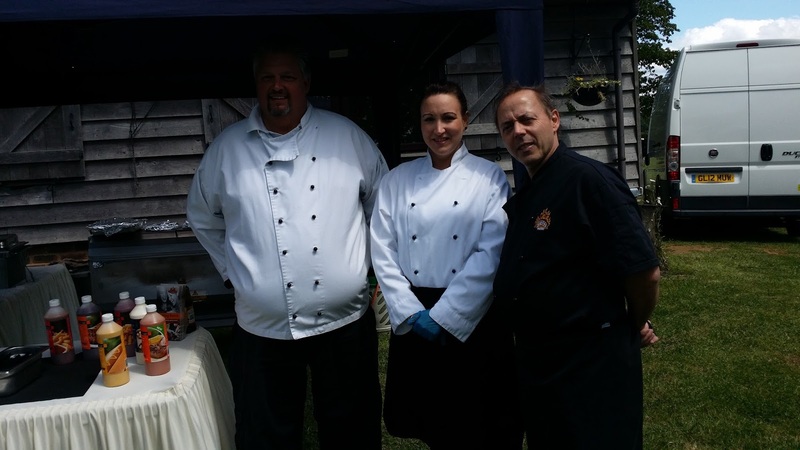 See HERE for more details about Winterdale Cheese and local suppliers. It was a super afternoon catching up with old friends who, due to the demands of managing five Associations, I am no longer able to meet and share news and gossip as often as I once did. I am so lucky to help run Associations like this, free of the internal bickering and malice which afflicts so many similar organisations. Not a bad place to spend an afternoon with friends on a late spring day! The West Kent Wage Slaves and our long suffering partners (apart from Matt who sadly doesn't have a partner -offers gratefully received. Send an email and photo. Age & gender unimportant though a pulse would be nice. The band - with a special guest appearance by Chris Buckwell (Rochester and Strood Conservative Association's Organising Secretary) on soprano sax. who printed over 500 different versions of literature - around two million copies in total - and never let us down. 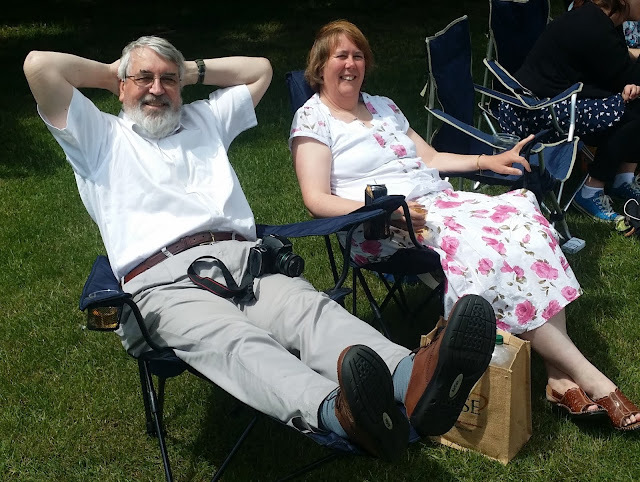 Tim and Mary Streater demonstrate the height of decadence; a picnic chair with built in foot rests.